The average grocery shopping trip takes 41 minutes. If you multiply that by the 1.5 trips per week average, that’s over 53 hours per year you’re spending in the grocery store − more than one working week. However, the online grocery shopping market has been picking up fast in the last few years. Around a quarter of American households already buy some groceries online, and more than 70% will engage with online food shopping within 10 years. Looking towards Europe − almost half (48%) of Brits are online grocery shoppers. One in ten (11%) do all of their grocery shopping online. According to a recent report by Food Marketing Institute and Nielsen, the online grocery shopping market is expected to grow five-fold over the next decade. The only obstacle to more rapid growth is the last mile delivery of perishable goods on time. Now, some clever Estonians have come up with a solution and are picking up speed in the growth of their own company Cleveron. 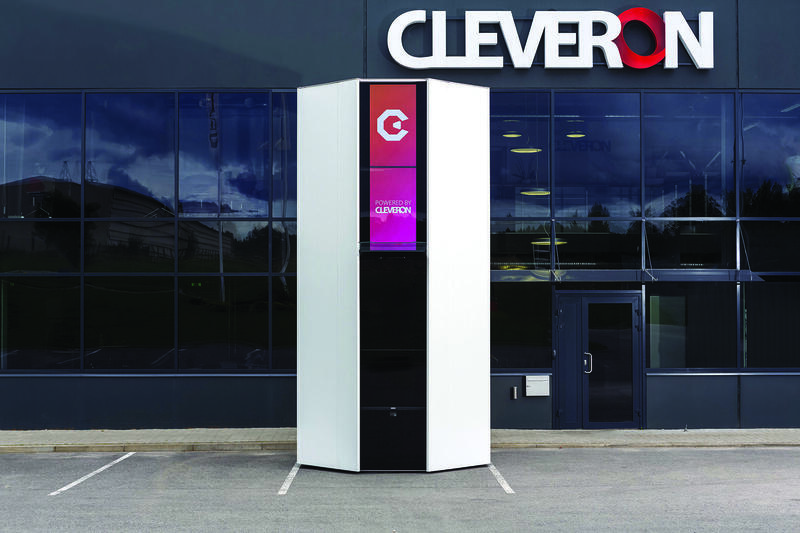 Founded by Arno Kütt in 2006 as an online furniture retailer in the central Estonian town of Viljandi, Cleveron soon found a new business focus − developing software and hardware for automated parcel terminals to overcome the inefficient and monopolistic delivery service that was an obstacle for its own business. Today, Cleveron is an innovation leader in robotics-based parcel terminals, having just recently entered the US market with about 100 pick-up terminals at Walmart stores. The company is growing fast − entering new markets and coming up with new innovative products. It’s a one-stop-shop from product design, hardware engineering and software development to assembly and maintenance of the parcel delivery stations. The next step is to bring the smart delivery stations to people’s homes to make life even more convenient and save time. The prototype of the new robot Cleverpod is ready and the company plans to start production next year. Founder and Chairman of the board Arno Kütt explains: “In the future, robots will take over more tasks from people, especially the less smart tasks that people really don’t like doing anyway. Our challenge is to help people save time so that the customer doesn’t need to wait for the delivery but rather vice versa. Cleveron has provided 470 parcel pick-up stations in Finland on behalf of the Finnish postal service and today has operations in nine countries − Estonia, Finland, Bulgaria, Norway, Germany, USA, UK, Hungary and Spain. The fastest growing new market is the USA where the state-of-the-art parcel stations enable Walmart shoppers to pick up their groceries in less than a minute, compared to the 15-minute over-the-counter pick-up time of the past. 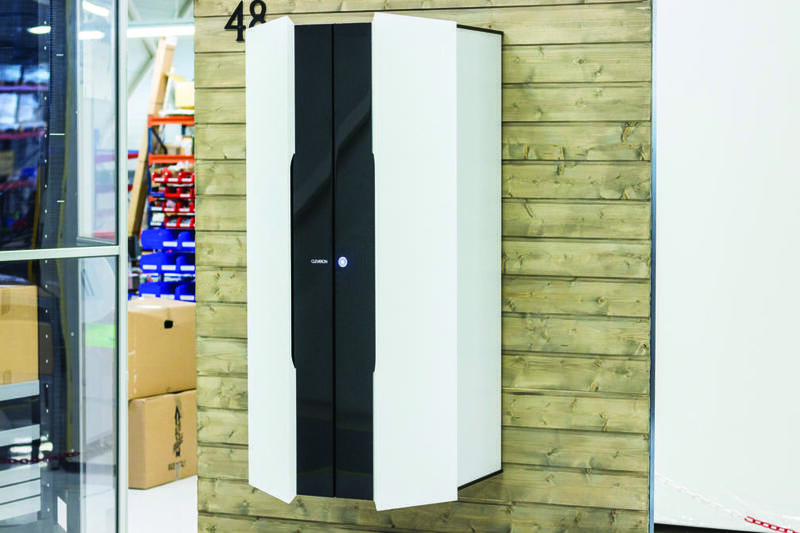 Another exciting pilot is the LAEV smart house in Tallinn, equipped with the Cleveron cloud-based smart mailbox SnapLocker, which can send and receive mail according to parcel size as well as notify the inhabitants on arrival. The inhabitants don’t have one specific mailbox assigned to them but rather a range of boxes and drawers of different shapes and sizes that can be opened via app and used according to their particular needs at the time. 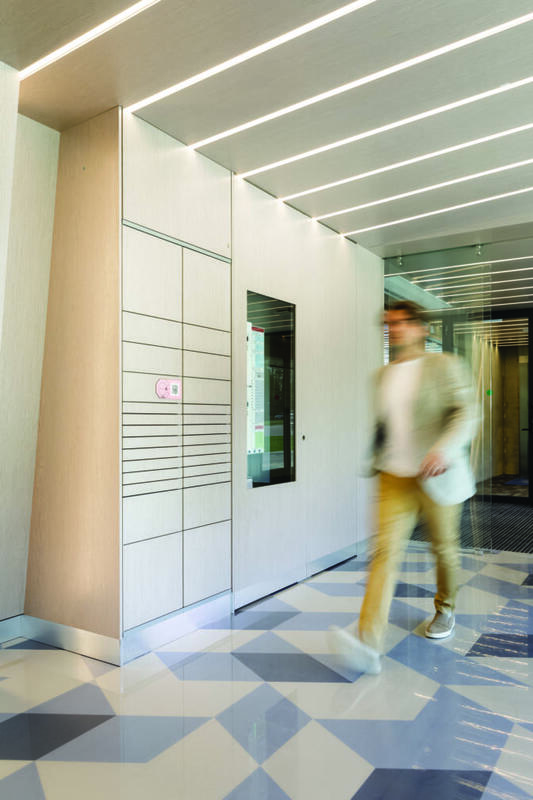 In the future, many services could operate via a smart box − why not have the drycleaner pick up and deliver clothes straight from your apartment block? This could also be used to return online ordered items without leaving your own home. Cleveron already conducted a test in Viljandi last summer; people could order soft drinks to be delivered by drone across the lake. It was very popular among the customers. The advantages are clear − no traffic jams and no salaries for the drones. If you order something online today you still have to wait for the courier to drop the delivery. An individual parcel station can take over this task in the future. The customer will receive a message when the parcel has been delivered and can pick it up at home whenever convenient. The delivery service can operate more efficiently this way as well. The new home delivery station can even be served by an autonomous drone. Only the authorised courier, the owner or customer can open the station, which recognizes the smartphone of the customer. Another possible use is the sending of parcels − the delivery company can just pick it up at your house from the parcel station. The greatest potential for the new generation smart station is in grocery deliveries because the station is also a fridge. The delivery can be made within any period from two hours to minutes from when the customer actually wants to receive the groceries. No need to wait for the courier or go to the supermarket.